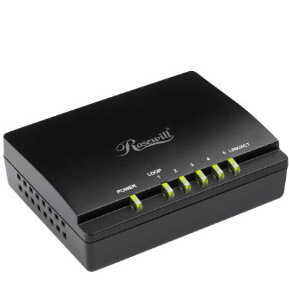 5 Gigabit Auto-Negotiation RJ45 ports: The auto features of this 5-port gigabit switch make installation hassle-free and no configuring is required. 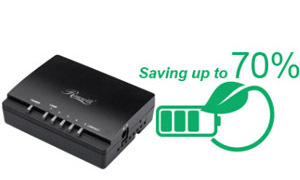 Energy Efficiency: Supports IEEE 802.3az Energy-Efficient Ethernet standard which offers power saving up to 70%. Quiet Operation: A fanless design allows for quieter operation and provides a longer product life. 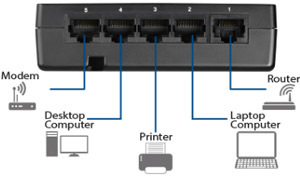 Plug and Play: Just plug Ethernet cables to the switch and power on then it will work. Reliable & Large Data Transfer: Reliable wired performance for sharing large data files, streaming video content and gaming need. consumption in idle or low-traffic modes. home or small office environments as well.